More than 4,000 years in the making, modern snowshoes have migrated from their roots in Central Asia to become a popular form of recreation worldwide for all types of adventurers. Annually, millions of cold weather enthusiasts explore city parks to national parks on plastic and metal-framed footwear designed for snow flotation. And selecting the perfect snowshoes for the intended terrain and snow conditions will only heighten the experience for everyone. Snowshoes are designed with different levels of traction and flotation (surface area) to accommodate different environments. When shopping for snowshoes, consider the terrain that you’ll most frequently encounter. Are you heading out for a stroll on a snow-covered golf course or across a blanketed pasture, or are you planning to use your snowshoes to access a backcountry ice-climbing route? 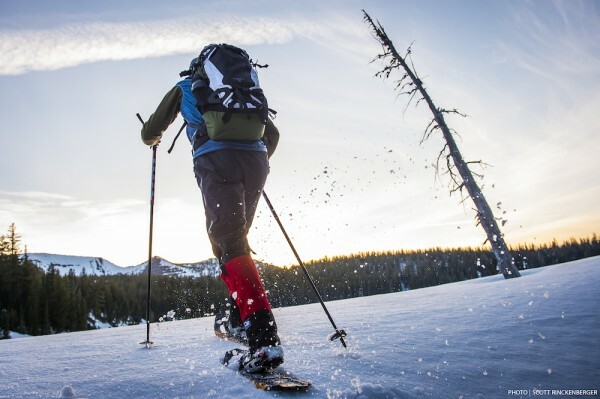 Snowshoes are typically designed in different styles for recreational use on flatter terrain, more aggressive hiking in deeper snow with a pack for day and extended trips, or for use as tools to access rugged backcountry terrain. MSR takes it one step further and designs each of our bindings with performance optimized for each snowshoe's intended use. If you’re heading out on flat trails or rolling hills for a few aerobic laps, MSR’s Trail Snowshoe series is the one for you. Their bindings feature a streamlined simplicity that makes them perfectly light for long-distance snowshoers while providing essential, easy-to-use security in this less aggressive terrain. Heading out with the family? 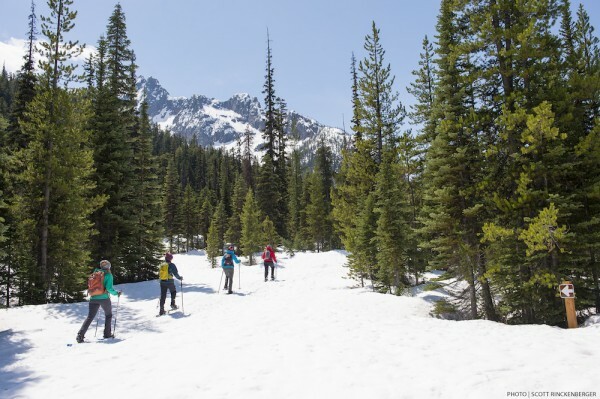 Durable snowshoes that can handle the abuse of group outings and the patchy snow conditions nearby the cabin can make all the difference in providing years of reliable performance. For this scenario, the MSR Evo snowshoe has long been one of the world's besting selling thanks to its tried-and-true workhorse durability. For serious snowshoers who like to spend long days on the trails exploring both on and off the packed tracks, a good mix of all-day comfort plus high-performance underfoot is important. Here, MSR’s Explore Snowshoe series reign. Their binding is our fastest, easiest, and most comfortable ever---making them simple to take off quickly during lunch breaks on a rocky outcropping. And if your route involves a few steeper sections, our Televator heel lift can be popped up for extra support that relieves calf strain. Mountain ascents require better agility on your snowshoes, more craggy traction, and a more secure fit around your boot so that the snowshoes become practically an extension of your body. Heading up a steep mountain in search of fresh lines on your snowboard? You’ll want toothy traction that can handle ups, downs, sideways steps, and the occasional uneven step on rock and ice. In that rocky terrain, ultra-durable snowshoes (usually plastic) are a smart choice. MSR Revo Ascents are engineered for just this. On the other hand, if you're looking to move fast-and-light in the high alpine and every ounce counts but traction is still critical, the MSR Lightning Ascents are your shoes. They'll keep you moving quickly and efficiently with confidence behind every step. Each Ascent snowshoe is designed to pair perfectly with plastic mountaineering boots, but they can be worn with any type of footwear. The surface area of the snowshoe determines how much float you’ll achieve on snow. So the size of your snowshoe needs to match the weight and burden it'll carry. Start by estimating how much you'll weigh with all your gear, food and water so that you can determine how long the snowshoe needs to be. Bigger isn't always better. Snowshoes that are too big can make it hard to walk, increasing your fatigue over a long day. Snowshoes that are too small won't give you the float you need. Feel like a guessing game? Here's a tip that'll help make the process easier: Consider the snow conditions you'll usually be in. When you're on hardpack snow, like that of cat tracks or established trails where the snow is packed down, you don't need as much flotation because you aren't sinking as much. But in deep, light powder, you'll need more surface area to stay above the snow--especially if you're carrying a heavy overnight pack. So remember this general rule of thumb: If you’re most often walking recreationally on hardpack snow, opt for smaller, more athletically inclined snowshoes. If you'll be hiking through deep, light powdery conditions most of the time, you'll want to go with a longer snowshoe. But what if you don't know what the conditions will be like, or you simply want to be prepared for anything throughout the year and season after season? That's where original MSR snowshoe designer Bill Forrest had an ingenious idea in the early '90s: Modular Flotation Tails. These add-on tails attach quickly to provide extra flotation when the conditions get deep. As a result, they allow you to purchase a shorter, more agile snowshoe for most conditions, and then simply attach the tails on days when the snow is extra light and deep. It's like getting two snowshoes in one. Current snowshoe designs take into account the natural gait of men and women, often with specific models for each gender. Men and women typically have different stances due to our biological hip designs. Men often have a wider gait, and women a narrower one. Snowshoes that account for this make a notable difference in comfort and muscle fatigue. MSR takes biomechanics into consideration in designing all of our snowshoes. To accommodate a narrower stride, our women's models feature a slimmed up profile to improve the user's agility. But this goes beyond the benefits for just women. Because they're built with the same elite technology as our men's, our women's snowshoes are popular with both genders, offering improved agility to anyone who has a narrow stride. Our women's models are also lighter, so long-distance snowshoers appreciate the weight-savings that allow them to move quickly mile after mile on high-adventure backcountry excursions. Ready to find your perfect snowshoe? No matter your adventure, MSR has the perfect snowshoe to match!